You or your loved one have suffered an injury in a slip and fall accident, get in touch with our Spokane Slip, trip and fall Accident attorney from Russell & Hill, PLLC. Any type of physical accident poses the threat of serious injury, especially if it is a slip, trip and fall situation. Accidents of this kind can cause muscle or bone damage, and the recovery period can take many weeks — not to mention the hospital bills, which can rise into the thousands of dollars. If the accident wasn’t your fault but was the result of some type of negligence, then you have a good shot at receiving compensation. Poorly salted sidewalks, bad construction, slippery floors, and cluttered stairways can all be categorized as negligence. If your slip, trip, or fall injury was from one of these situations or something similar, then read on so you can better understand your rights and the path you need to take to be compensated for your loss of time and money. What Are “Slip, Trip, and Fall” Accidents? 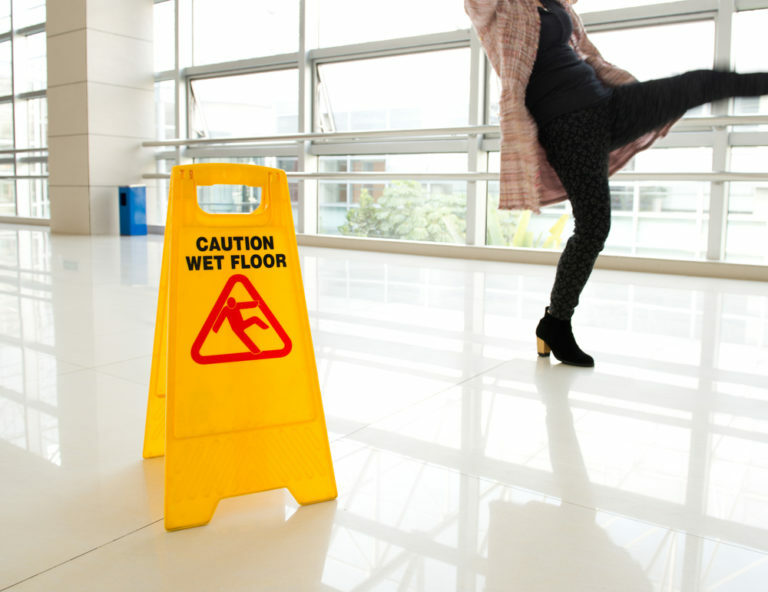 As the name suggests, these are personal injury accidents that occur when somebody either slips, trips or falls, and can happen as a result of hazardous conditions on someone else’s property. These accidents can occur in a number of different ways, but some instances are more common than others. You can injure yourself when exiting a building, walking on a slippery sidewalk, walking on uneven floors or being unable to see in poor lighting. Causes of slips and falls could be bad weather, liquid spills, design flaws, or a foreign object that shouldn’t be on a walking surface. When Is Another Party Responsible For An Accident? If you just happened to slip and fall, it doesn’t mean the property owner is immediately at fault and responsible for your injury. There are a lot of other variables that go into deciding who is at fault. A lawyer must prove that there were dangerous conditions on the surface or in the area where you slipped. Additionally, a party must prove that the property owner was aware of the problem and chose to ignore it. Anybody who was involved in a slip and fall accident should report the accident to the individual in charge as soon as possible. You should not provide them with a detailed statement at this point – you can inform them of the accident, but do not give them a ton of details until after you have spoken with a personal injury attorney. An attorney can help guide you in the right direction. After you have reported the accident to the proper people, you need to detail what happened and take notes on the circumstances that led to the accident. You need these details so you can provide them to your attorney when you meet with him or her. Write down the date and time along with the location and names of witnesses that might have seen what happened. Additionally, you should get the name of the individual in charge, the conditions of the area where you fell, what shoes you were wearing and any other details you might deem necessary. If possible, keep any clothes or items that led to the fall as those can be used later on as evidence. Lastly, seek medical treatment for your condition following your fall. An emergency room doctor can examine you and diagnose an injury. Having a breadcrumb trail of medical reports increases the validity of your slip, trip, and fall case. An injury is no fun, but lack of treatment by a medical professional may negate your case entirely. If you decide to wait for medical care, then it may come back to bite you later as a judge might rule that there is not enough correlation between your injuries and the accident. Don’t delay your medical care! If you or your loved one have suffered an injury in a slip and fall accident, immediately begin the process of working with a personal injury attorney. 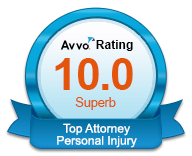 Victims who choose to work with an attorney generally receive far better compensation for their injuries compared to people attempting to handle a case on their own. 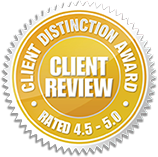 At Russell & Hill, PLLC, we strive to make sure that our clients receive the best possible compensation you deserve. At Russell and Hill, PLLC, we don’t require any upfront payment, period. You have no reason to worry about piling up attorney’s fees; our payment model comes from the contingency of your winning case. We earn our money as a percentage of the insurance payment you receive from the settlement of your case, essentially meaning your legal bill never affects your wallet. For more information about our personal injury services for slip, trip and fall accidents in Spokane, don’t hesitate to contact us. 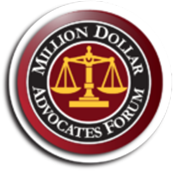 Schedule a free consultation with us so we can learn the details of your case and explain your options. Call today, or fill out our online form to start the process. We look forward to hearing from you!